FORT WORTH — The UTRGV baseball team fell 7-2 to No. 8 Texas Christian University on Tuesday at Lupton Stadium. TCU (8-3) jumped out in front in the first inning on a Josh Watson three-run home run and added another run in the bottom of the second on a Connor Wanhanen RBI double. UTRGV (7-6) started off the top of the fourth with back-to-back hits. Senior Ivan Estrella singled, and junior Anthony Gomez followed with a double. One out later, senior Austin Siener drove in a run with an RBI groundout that scored Estrella from third, cutting TCU’s lead to 4-1. TCU extended its advantage to 7-1 in the bottom half of the fourth with a pair of home runs. Luken Baker hit a two-run shot, and Watson followed with his second of the game. UTRGV added a run in the next half-inning off of reliever Jake Eissler. Junior Conrad McMahon reached on a one-out single and came in to score on sophomore Coleman Grubbs’ RBI double. UTRGV pitchers senior Jorge Flores, junior Jared Quartier, freshman Max Balderrama Jr. and junior Ryan Jackson combined to pitch the final four innings scoreless while scattering just two hits. Eissler earned the victory after pitching 1 1/3 innings, allowing just the one run and striking out four. UTRGV will be back in action at 7 p.m. Friday at the UTRGV Baseball Stadium when it begins a four-game series against Maine. 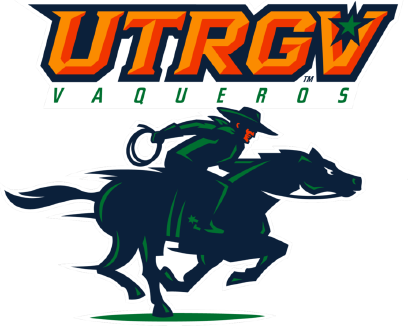 Friday kicks off UTRGV’s “Staycation” series with Hidalgo County Night. Fans who present proof of residency in Hidalgo County can purchase specially priced tickets at $3 each.